William G. Roark is a Principal of the firm and a member of the Litigation Department. He focuses on catastrophic injury cases, and his clients have included individuals suffering from traumatic brain injuries, medical malpractice, and exposure to dangerous chemicals. In two recent high-stakes trials, Bill recovered a combined $6.25 million for his clients. Bill served as trial counsel in each matter and helped his clients navigate their way through a sometimes-complex court system. Each case uniquely drew upon Bill’s special skills as a courtroom advocate and provided his clients with the compensation they required after being left significantly injured because of someone else’s carelessness. In another noteworthy case, Bill represented a computer programmer who suffered a closed head injury after a collision. Bill collected from the negligent driver the entirety of his insurance proceeds. Recognizing the severity of his client’s injuries, Bill then turned to his client’s underinsured motorist policy, where he collected all but a small portion of the available coverage. In the end, Bill’s client was able to recover his lost wages and have protection against any possible decreased earning capacity. Bill is an active member of the Montgomery Bar Association, chairing and participating in various committees. 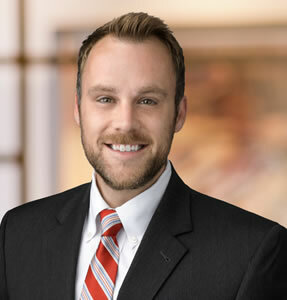 He is a past editor for the Montgomery County Law Reporter, past chair of the Environmental Law Committee, and a contributing editor to Montgomery County’s Civil Practice Manual. He serves as a member of the Board of Directors of Legal Aid of Southeastern Pennsylvania. Bill additionally chairs the firm’s medical marijuana practice. For eight consecutive years (2010-2017), Bill has been selected for inclusion in Super Lawyers ― Rising Stars Edition. No more than 2.5 percent of the lawyers in the state who are 40 or younger, or who have been practicing for 10 years or less, are named to the list each year. Bill resides with his wife and two daughters in Gwynedd Valley, Pennsylvania. He is an avid sports fan and still follows every one of his alma mater’s gut-wrenching college basketball seasons. Although the opportunity rarely presents itself, Bill remains a certified scuba-diver and still enjoys the occasional dive.